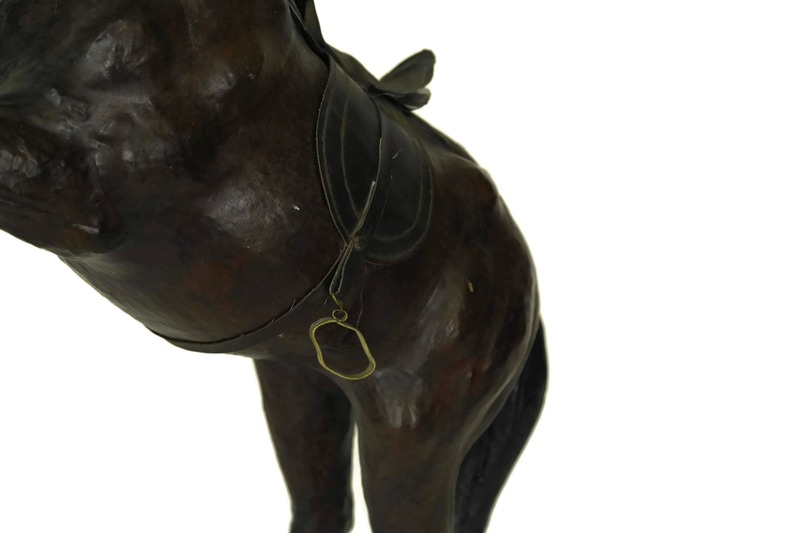 A beautiful vintage leather horse figurine dating from the 1960s. 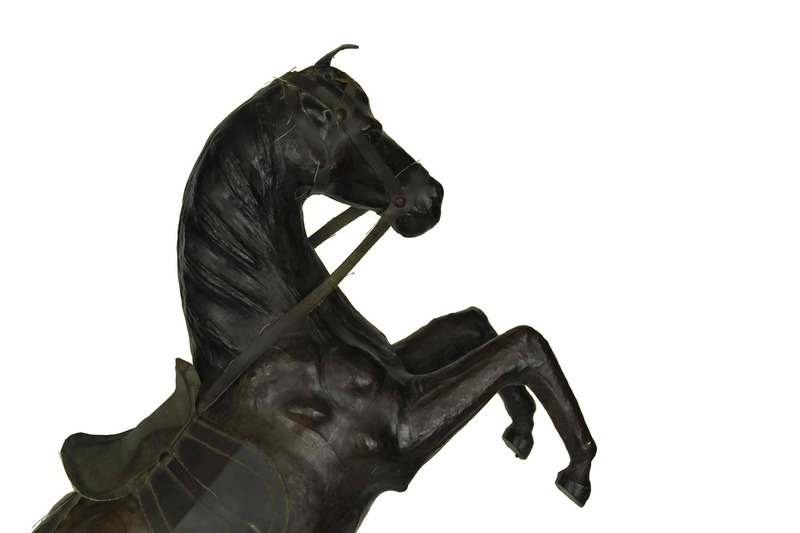 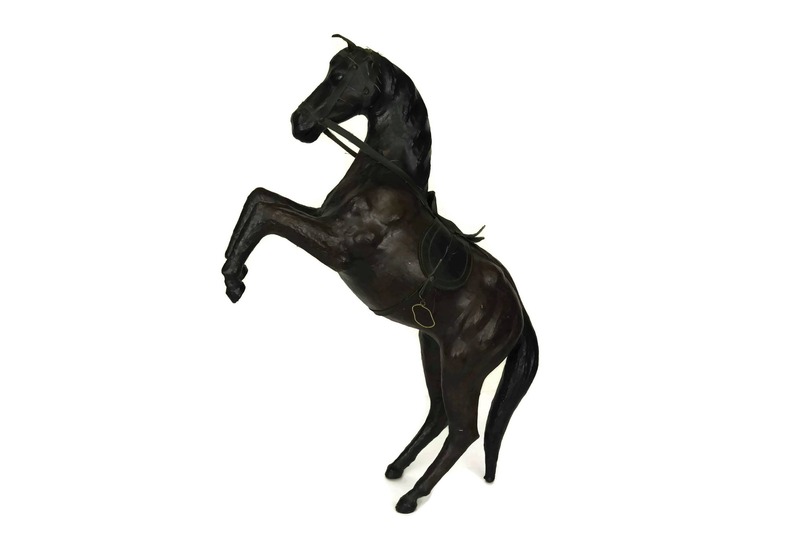 The large steed statue has been handmade from papier mâché covered in a rich dark brown leather. 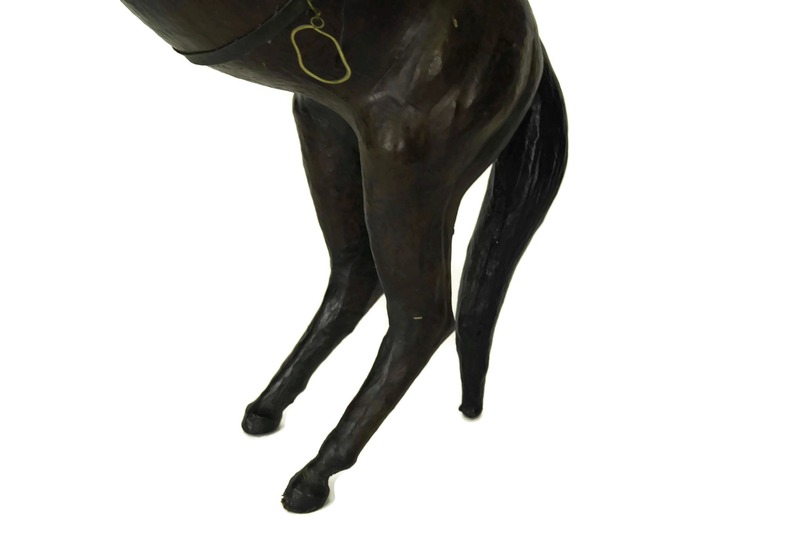 It's wearing a saddle, stirrups and bridle with reins. 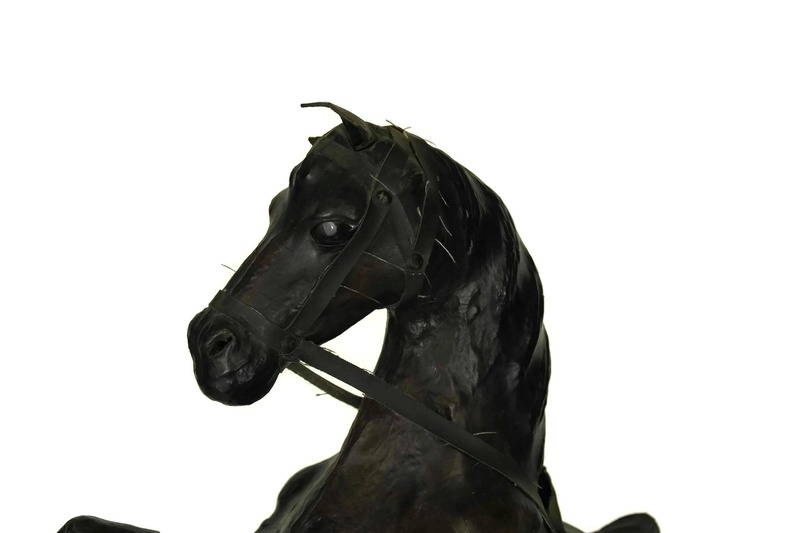 The saddle and bridle are attached to his body with rivets, and his eyes are made of glass. 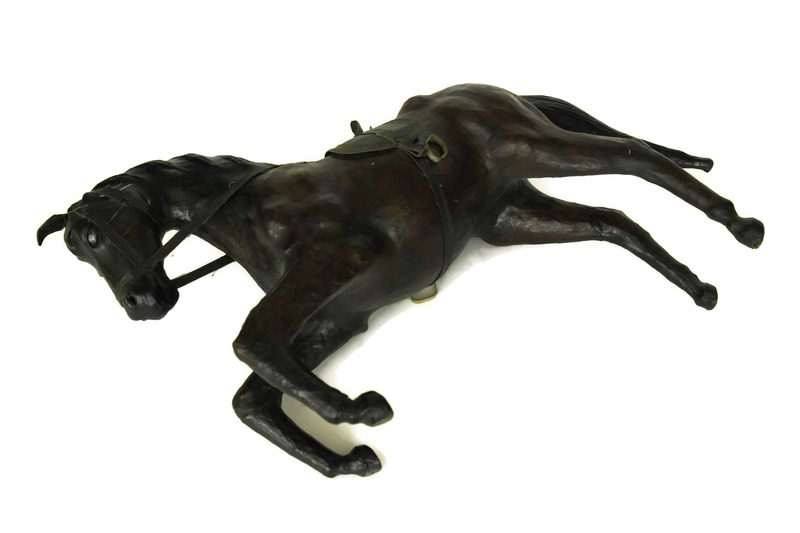 The horse sculpture can also rest on a rearing or a kneeling position. 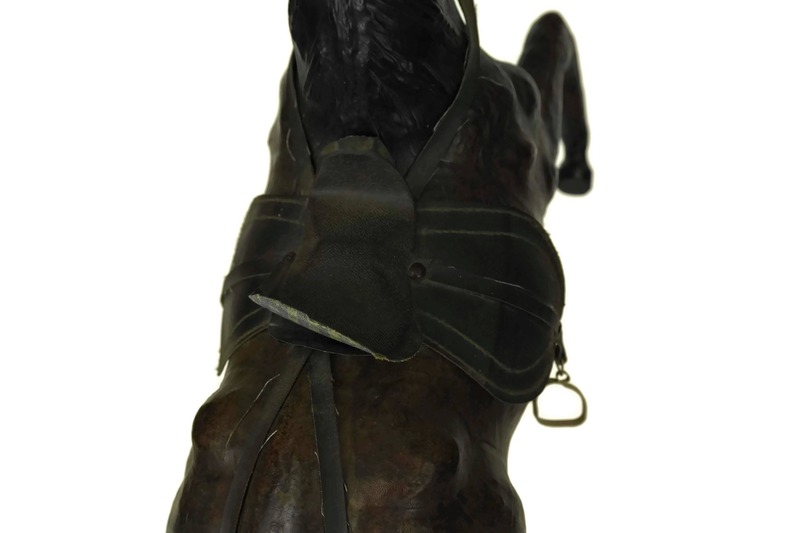 It will make a great equestrian gift for any horse lover or a great addition to your Boho office decor. 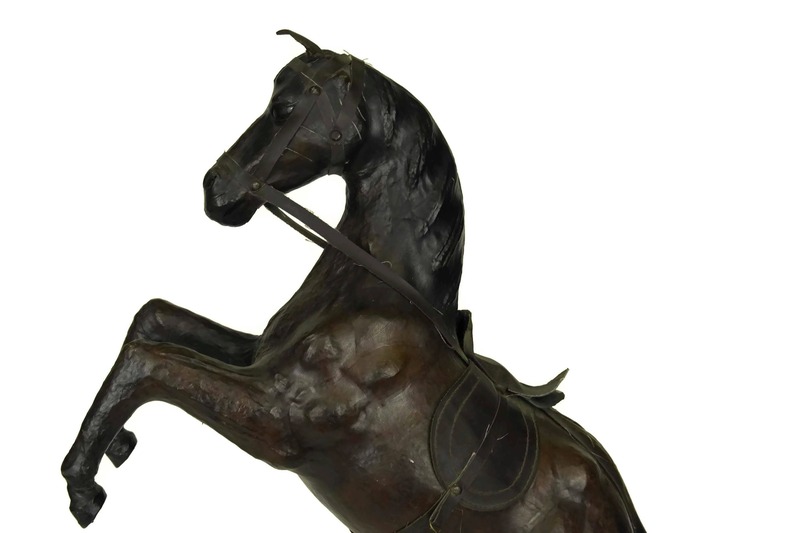 (51 cm x 33 cm x 15 cm). 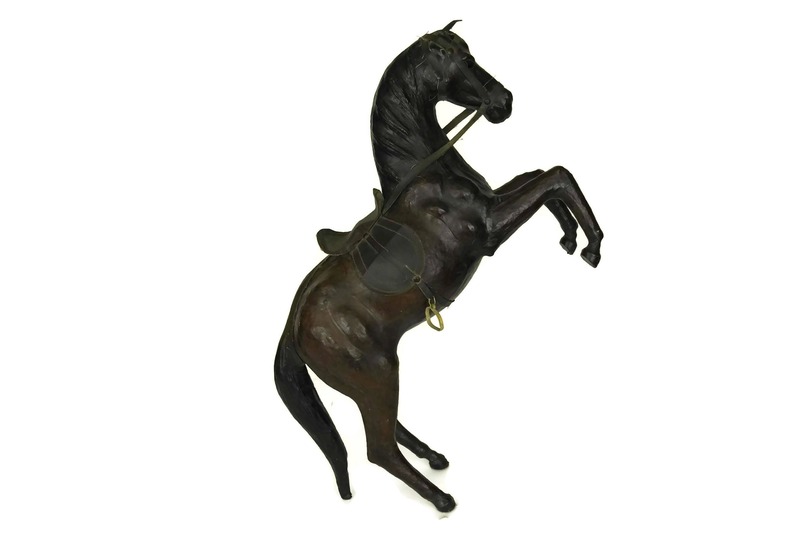 The horse statue is in goo vintage condition with a rich patina. 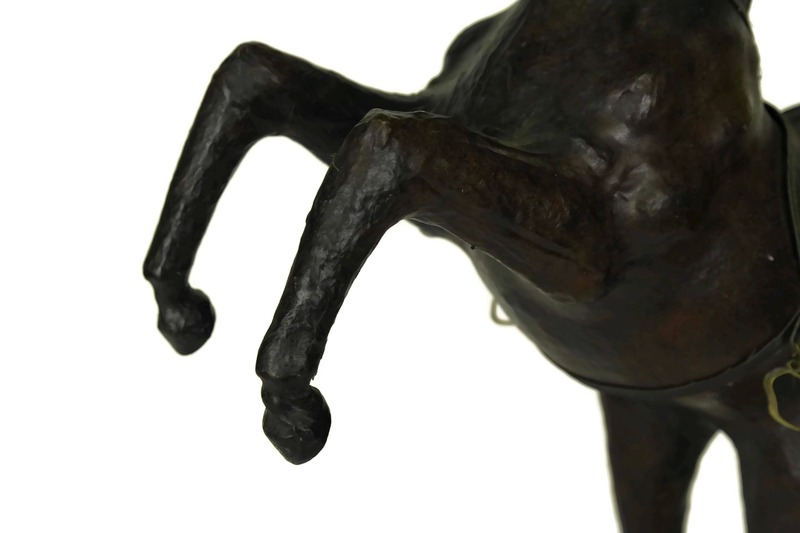 The right tear is broken off (the broken piece of ear will be included should you wish to restore it).